Busted Range? Broken Oven? Cooktop not turning on.. We can help. Those darn Kitchen Appliances... Broken Stove? Our Oven Repair Specialists can help! Whether you call it a Range, Stove, Oven or Cooktop, if it no longer heats up to cook your food we can help you repair it. Our Oven Repair specialists in Stamford, Connecticut will have your kitchen running smoothly in 24-48 hours or less. Being ticked the "insert word" off! Because your oven was working just fine yesterday. When we get on the phone with a ticked off appliance failure victim they always ask which areas of Stamford we service. We repair appliances for homeowners, property mangers and property maintenance companies throughout the entire City of Stamford. More often than not we can get to your home the same day you call. If you're looking for a quick repair for your cooktop or range we can be there in less than 24 hours. Many people throughout Fairfield County will go out and buy a whole new stove when their current one breaks. 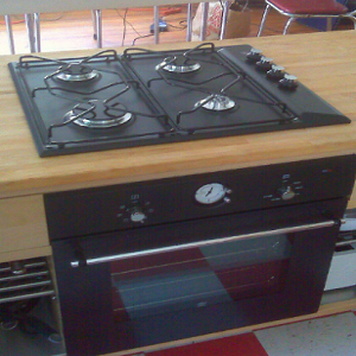 Getting a new stove installed often costs as much as the retail price of the appliance. Our appliance repair techs can help you get that range fixed and get that kitchen fully functional again. We been helping with oven repair in Stamford for years and would love the opportunity to help you with your repair needs.